Any British citizen who has upped sticks for sunny Spain knows that there is a mixed bunch of expats living on the Costa del Sol who are never short of a tale or two. Some of those wonderful personalities have been opening up to Channel 5’s Bargain Loving Brits in the Sun. First up were pensioners Jo and Jan who run a dog rescue centre and Ben and Kate, a couple from Wales who hope to fund their new life in Spain with £30,000. Over the coming weeks, you will meet a salsa teacher who used to be in marketing a call centre worker who now pulls pints and a retired Bobby who organises a local market. 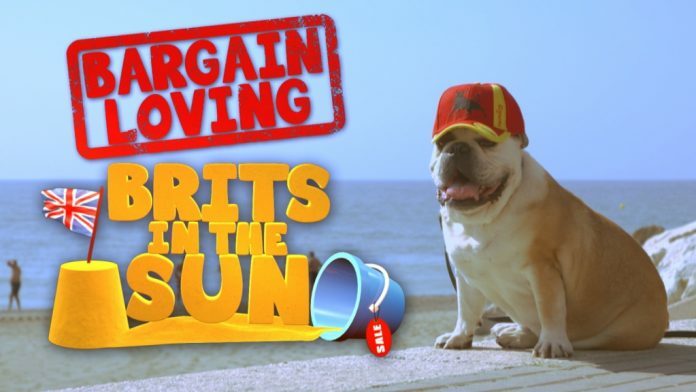 The popular fly-on-the-wall-show follows the daily lives of Brits who decided to give up a rainy and dour Blighty for a “cheap as chips” lifestyle under the Spanish sun. After having been filmed for three seasons in Benidorm Channel 5 decided to ditch the Costa Blanca and set its sights on the Costa del Sol for season four. While talking to a local English language newspaper series producer Bob Brear said: “The show is a celebration of what it’s like to be a British expat in Spain” and that he hopes it will inspire others to make the move. “Instead of other shows which have sneered at places like Benidorm, we want it to have an aspirational feel,” added the 44-year-old from Bury. Brear admits there were hurdles when they first came up with the idea for the show as it was hard to get people to take part as they feared the show would make a mockery of them on television. “We’re not doing it to take the mick, we just want to tell their stories. Everything said in the commentary are things we would say to these people in person. “We think it’s a brave thing to do – up sticks and start a new life in Spain having no idea whether it’ll work out. We want viewers to watch it and think, maybe I could do that too!” Previously Brear worked on shows such as The Class of ’92, Come Dine With Me, Antiques Road Trip and admitted that filming on the Costa del Sol was completely different to Benidorm where cheap thrills were the mainstay of the show. “The Costa del Sol has everything from your euro pints to expensive cocktails in Banus. It gave us a lot more scope to show different types of stories because there’s everyone from the working class to the rich,” adds Bob, who incidentally has a holiday home in Benalmádena. The show was born after director Sarah Murch discovered that a community of 6,000 expats lived in static caravan parks in and around Benidorm.